A solid 14 turned up this week. I started off playing Havana while the others played Bang!. I don't know much about what happened in Bang! except that Rhys was out almost straight away. In Havana there was all to play for in what was going to be the last round. Everyone was evenly matched and was most likely going to claim their winning card. Well, almost everyone, Andy failed to get a single point in the whole game. I saw my opening and took it but Ryan had also seen his. He had also played the Siesta meaning his action was first. He got his card and scored the extra couple of points he needed to win himself the game. More people arrived and we split into three groups. We played Firefly, 7 Wonders and Cosmic Encounter. 7 Wonders was won by Andy using the classic getting-all-the-research-cards technique. His board was awash in a sea of green. As they were finishing up we were still getting to grips with the rules for Cosmic Encounter. 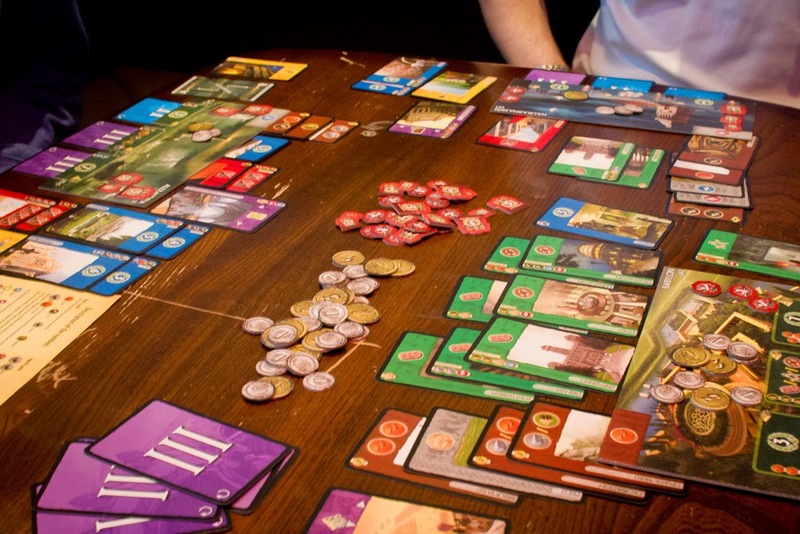 7 Wonders can be a fiendishly quick (in a good way) game. Especially if everyone already knows how to play. They grabbed my copy of Coup and played a few games of that. 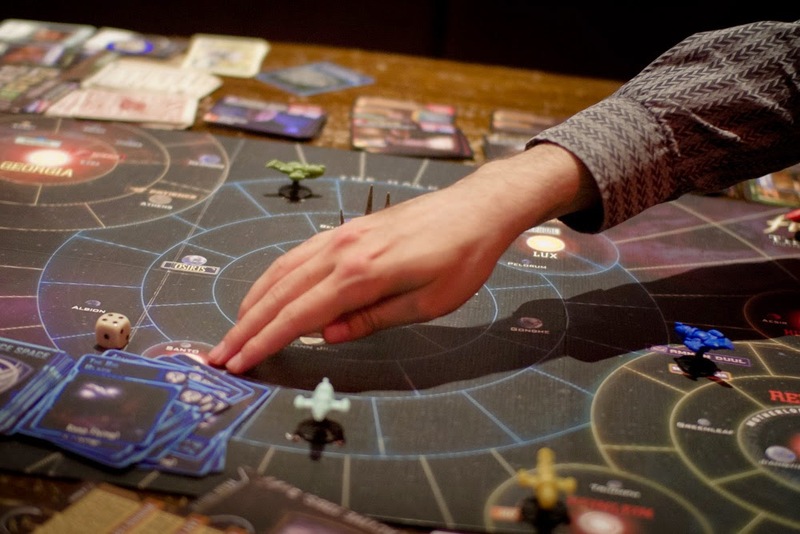 Cosmic encounter is a game of cosmic negotiation. There were five of us and I quickly made sure I had two of the players as allies, effectively reducing my chances of winning from one in five to one in three. It was a clunky start with a few first time rule faux pas but it looked like Lizzy was going to win. She went big hoping to attack for the winning point but her allies betrayed her and her attack lost. The game should have carried on but Lizzy had to go home. Something about Game of Thrones and an early start. I guess we can call her the honorary victor. The rest of us played a quick game of Love Letter while Firefly finished up. Andy had also bought himself Love Letter recently, and they were playing it too. In Firefly on the last turn Craig sold a single piece of fuel to Sam for about 10 times its worth. It didn't really change anything in the game, Sam still won and was always going to. I think it was just to stick it to Johnny somehow.